i) B.Sc. Nursing (4 year course) from an Indian Nursing Council recognized Institute/ University. OR B.Sc. (Post-Certificate) or equivalent such as B.Sc. Nursing (Post Basic) from an Indian Nursing Council recognized Institute/ University.
) General/OBC Candidates: - Rs.1, 000/- (Rupees One Thousand only). 3) Persons with Benchmark Disabilities -Exempted from Examination Fee. 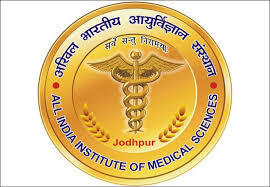 4) The candidate will be required to pay prescribed application fees, if any through Online Mode Only via payment gateway of AIIMS, Jodhpur. Transaction/ Processing fee, if any, as applicable will be payable to the bank by the candidate.